Another weekend morning, another opportunity to visit the Lake Apopka Wildlife Drive (LAWD). 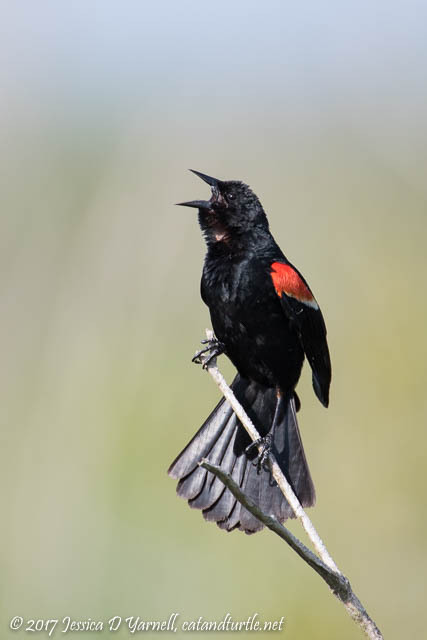 Even in the heat of summer, the variety of birds is pretty impressive. 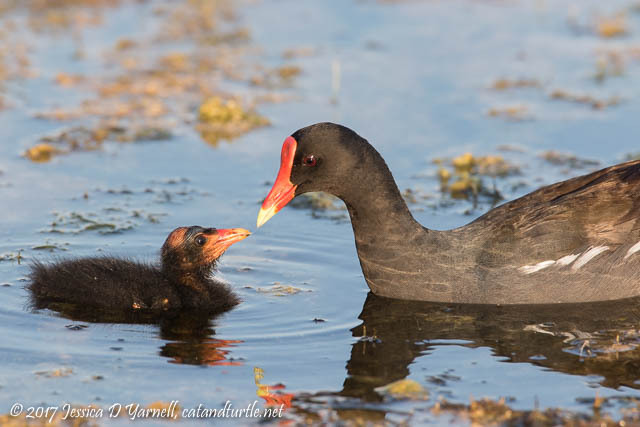 This Common Gallinule family was fun to watch. There were two baby “aliens” and a couple of juveniles. Mom stayed busy feeding the babies. After watching a Common Gallinule family on their nest a few weeks before, I think I was more aware of the interactions between the babies and their older sibling (previous clutch). The “baby-sitter” alternated between feeding himself and feeding the babies. 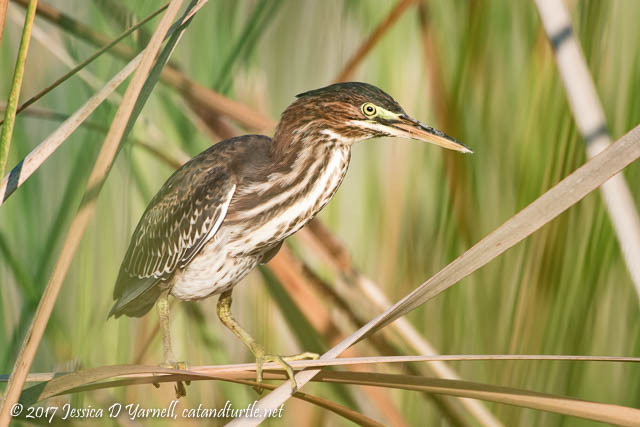 Deep, deep in the reeds I noticed a juvenile Green Heron. I positioned myself to photograph through a tiny “window” in the foreground vegetation. The result was a photo with a strong green cast. I like how the reeds frame the bird. It shows how well the heron blends into his environment. 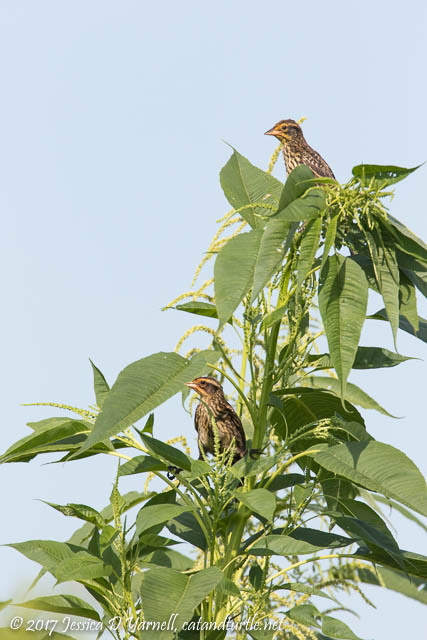 Speaking of blending in, I found this juvenile Least Bittern sitting straight up in the reeds. I almost drove right past him because he blended in so well. I sat and watched him for a while, and he hopped closer and closer. Look at the white down on his head. He won’t have that juvenile look for long. 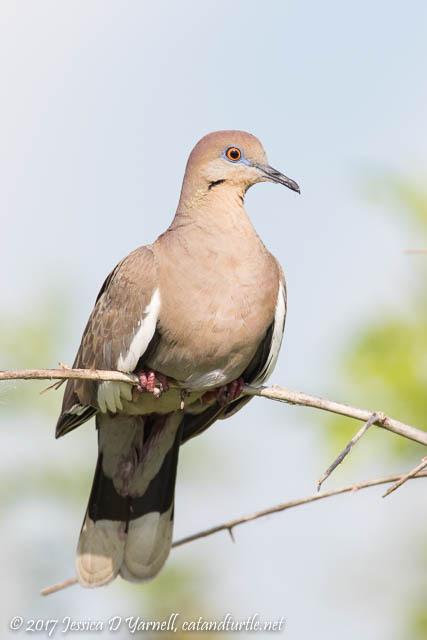 It had been a while since I’d seen a White-winged Dove perched nicely out in the open on Laughlin Road. This one didn’t mind having his picture taken. His feathers are gleaming in the morning sunlight and you can see his iridescent patch under his neck. It was one of those mornings when I was going slow and just enjoying being immersed in nature. I started to notice the hundreds of dragonflies perched in the reeds. Then I started photographing dragonflies (wishing that I had stuck my extension tubes in my bag that morning!). 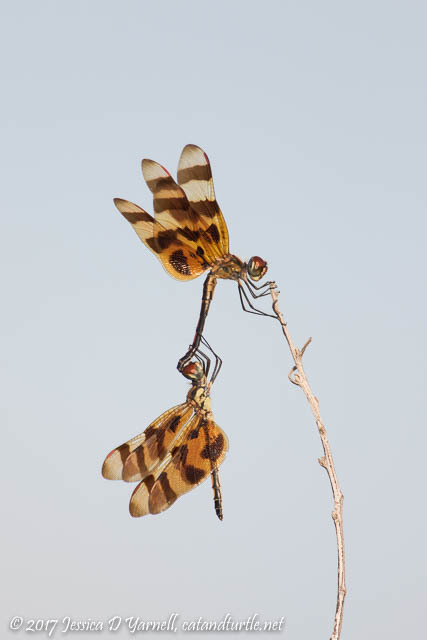 Then I came across this pair of dragonflies. I think there are more dragonflies on the way! 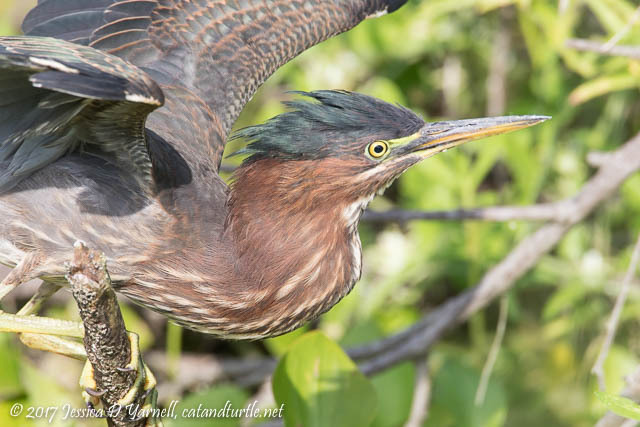 Finally out on Laughlin I came across a second Green Heron. This one was sitting low over the water, fishing. He stretched his neck out and only his eyes moved…until pounce! He dove for the fish. I caught the tail end of the action sequence. A fun way to end a fun drive! I really enjoyed “driving” along with you! 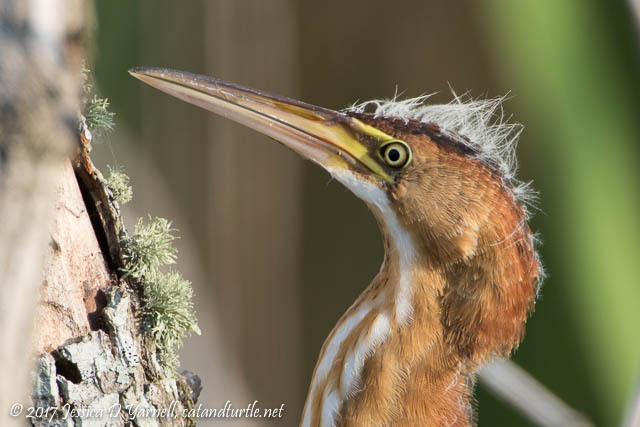 Terrific shots, all, but love that young Least Bittern! It’s easy to overlook those guys. Is that a great place to spend a morning or what!